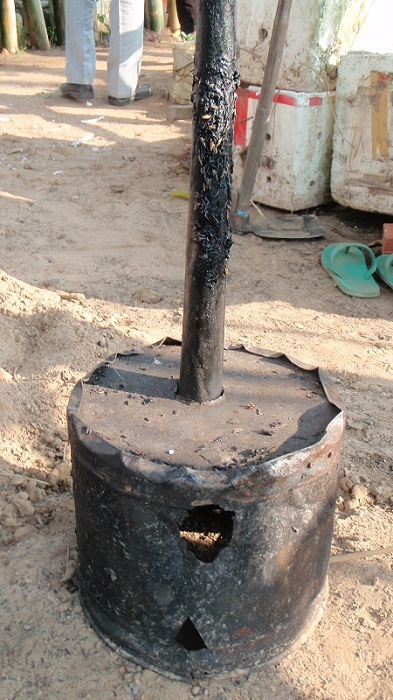 Here’s a pic of his experimentation with making biochar from rice hulls—he starts a wood fire in the lower cylinder and then surrounds it with rice hulls….it slowly chars the rice hulls. He then composts the charred rice hulls. 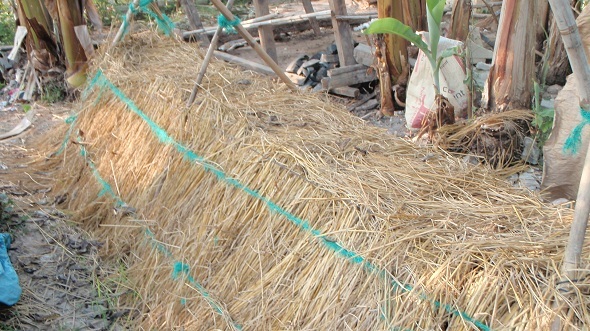 At the end the rice hull bio char, when mixed in the soil hold soil water because of its porosity and holds soil nutrients because it contains has both positive and negative charges. 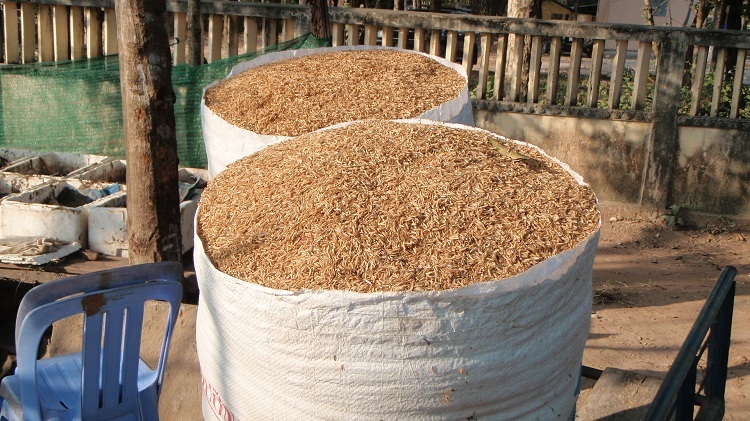 There’s lots of research going on about bio char because it can sequester carbon in a form that is only slowly decomposed, thereby removing it from the atmosphere for a long time. So, Mr. Mao is involved in cutting edge research application! 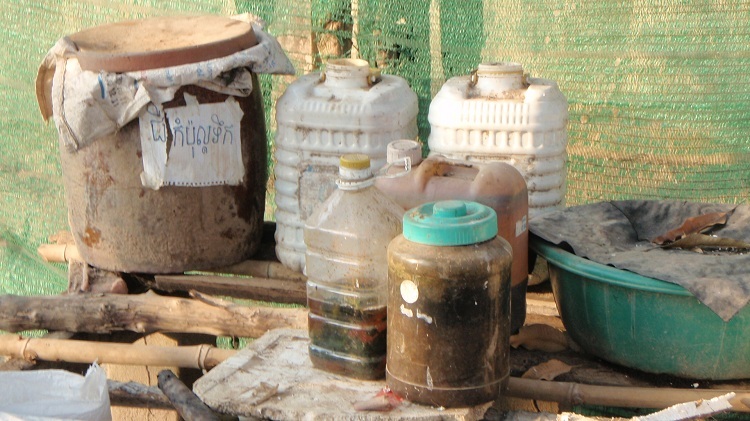 Like Rahkmat, whom I talked about in a previous blog, Mr. Mao multiplies the beneficial bacteria and fungi in his soil through a series of concoctions in the “effective micro-organism” methodology. He has limited space around his home. 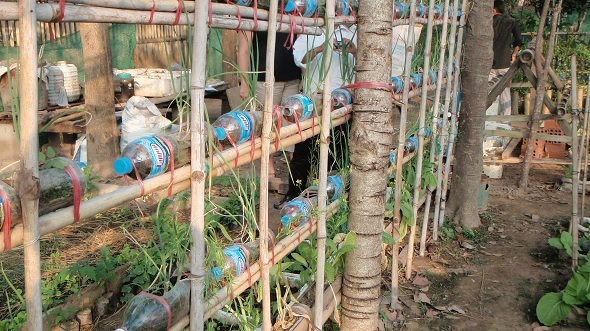 So to maximize his space he has built frames—from the amazingly versatile bamboo—with recycled water bottle plant holders to grow vegetables. People like Mr. Mao are very special people and meeting them is one of the joy’s of my work with World Renew. 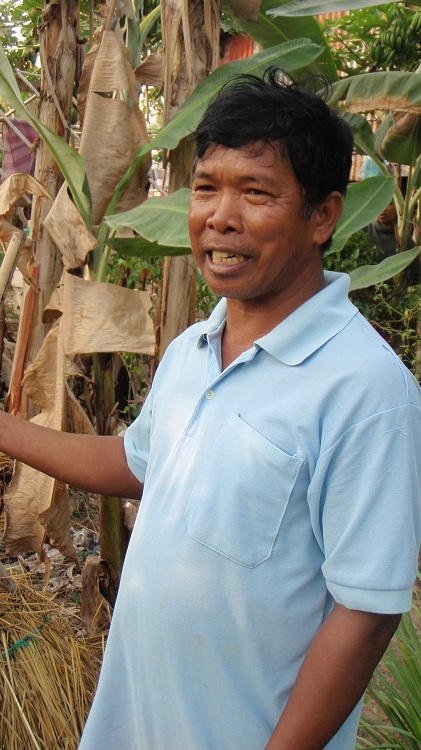 I’m so glad that we can serve him by helping to open up opportunities so that he can teach and inspire more farmers in Cambodia. And, I’m so grateful that he has helped us inspire farmers about the system of rice intensification, via his staring role in training videos—in India and Bangladesh. 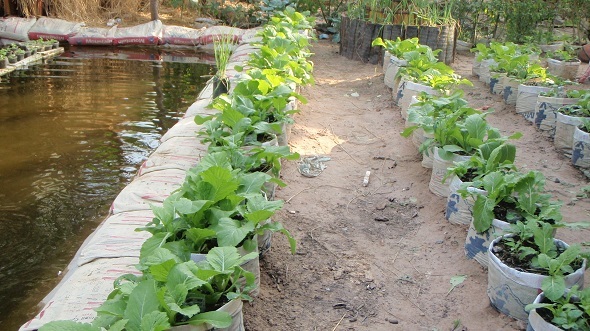 He has so many ideas—like growing vegetables in sacks of compost in places where the soil is poor or too hard, or where there is risk of flooding that may require moving the sacks. Thanks, Mr. Mao! Cambodia—Boom Economy in 2013, But What Comes Next?